Instagram has grown in popularity immensely over the years, and where people’s attention is, there’s money to be made. Instagram offers a variety of different approaches to making money. You just need to decide on which approach you want to take, then put time and dedication into making it happen. There are thousands of people who make a living off Instagram and you can too! In this article, we’re digging deep into the world of Instagram monetisation, and show you every way you can gain income from the platform. I’ll also show you exactly what you need to to in order to make money. As a bonus, I’ll also be answering common questions people have about Instagram monetisation. There are tons of ways you can make money on Instagram on. The monetising method you choose will affect the approach you take and what you need to do in order to cash in your first bucks. To help you better understand what goes into the different ways to make money, I’ll list them here and then go more into detail further on. How many followers do you need? Chances are, you have asked this question, too. The answer is a bit more complex than simply saying 10K followers, or 100K followers. Because the truth is: it depends. It depends on several important factors. However, something that many people are happy to hear is that you don’t necessarily need a ton of followers to make money. Even with a few thousand, you can make money on Instagram, too! I can’t deny that follower count doesn’t matter, and if I would say that it has no importance at all, I would be lying. Follower count is still a highly important aspect in how much you can make on the platform – especially when promoting brands through sponsored posts. Just know that there are more things that go into it than just the number in your profile. You can have 1M followers without being able to make a single buck. Even if that is highly unlikely. And you can have 10K followers and make tens of thousand dollars. Apart from follower count, this is the single most important factor. Your followers mean nothing if they aren’t engaged. If you share a post but have zero people who see it, your post won’t do any good. -Whether you’re promoting a brand or your own products. When talking about engagement level, you’ll be happy to hear that more followers isn’t always better. In fact, in many cases, it’s better to have a small and highly engaged audience which you can influence, rather than to have a huge following with people who couldn’t care less about your posts. On Instagram, engagement rate tends to drop as your follower count grows, and this is proof that follower count doesn’t always matter. When I first started with Instagram in 2014, people couldn’t care less about engagement rates. In fact, the discussion didn’t even exist. When you posted a photo, every single of your follower saw it. Nothing to discuss. However, because engagement rates vary so much between Instagram pages, engagement rates have now become an important metric to measure. Especially for brands when looking to measure the true reach and marketing value of an influencer. Because the truth it: follower counts can be deceiving. Depending on how big the competition is, it can affect both whether you are able to make money, but also how much money you can make and how many followers you need. Obviously, the most important part of how much you will make on Instagram is what income source you choose to work with. Are you going to promote brands, sell products? The word influencer can be seen and heard almost everywhere you go. An influencer is essentially a person who have built a personal brand and a reputation online. They are people who are trusted individuals with a large impact on people’s actions and decisions. Most of the time, they’re individuals within a particular space, or niche. Influencer marketing is the number one money making method on Instagram in terms of how much you can make from it. 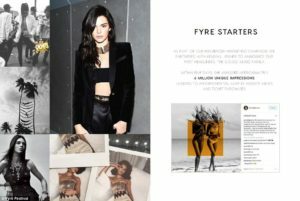 Kendall Jenner was recently reported being paid $250,000 for a single Instagram post to promote the event Fyre festival. Selena Gomez is the highest paid Instagram influencers, being paid a whopping $550,000 per promotional post. Of course, unless you are a huge celebrity, you won’t get anywhere near these numbers. But that is not to say you won’t be able to make any money from it. In fact, studies show that sponsored Instagram posts average $300 each. There are many variants of an influencer, and to separate them, a word is usually added. For example: Social media influencer, Facebook influencer, and in this case Instagram influencer. This says something about influencer marketing and its popularity. Now is the time to hop on the train and ride the success wave influencer marketing is seeing. When you are an influencer, you get paid to promote brands and their products. Simple as that. Of course, you can proceed other ways of making money on Instagram at the same time, but those would not be classified as “influencer revenue.”. Yep, I just made that last word up. Now, you’re probably thinking “So how do I go about promoting brands and getting paid for it?”. Luckily for you, I have the answers. Why do brands work with influencers? As an influencer, the brands are the ones who will give you the money, so if you want to make good such, you need to make sure you are providing them with value. There are several reasons to why brands are moving to influencer marketing from traditional ads such as TV and radio. And when you look at the results influencer marketing is able to generate for brands, it doesn’t exactly leave us wondering why this is happening. First of all, influencer marketing gives an incredible opportunity for brands to reach their target audience in a way that is not possible with most marketing sources. Brands are partnering with influencers who are leaders in their industry and have followers who are within the brand’s target audience, thus reaching only those who truly matter. This also means that when an influencer promotes the brand, their followers are highly likely to find the promoted brand interesting. As opposed to TV ads where brands have close to no information about who actually sees their ads. Even worse, they also have to pay insane sums for it. Another reason why brands are partnering with influencers and get them to promote their products is because of trust. Nobody trusts a TV commercial. Nobody trusts a radio ad. But when someone who people trust and look up to recommends a brand, they’re far more likely to take that recommendation into consideration. Also, what is beneficial for the brand is that some of that trust is then transferred from the influencer to the brand. A trust that is hard to gain from any other marketing source. In fact, 92 percent of consumers around the world say they trust recommendations peers (even if they don’t know them), above all other forms of advertising. This fact alone will explain why you are so valuable to brands as an influencer. I could dig into this subject alone all day, but instead, I’ll let the statistics do the talking. 86 percent of women turn to social networks before making a purchase. 71 percent of consumers are more likely to make a purchase based on a social media reference. 74% of people trust social networks to guide them to purchase decisions. The easiest and least time-consuming way of getting brand sponsor deals is by signing up to influencer directories. Influencer directories gather thousands, sometimes even millions of influencers at one place, and in that way help brands identify the influencers who are suitable to their needs and preferences. Most influencer directories are completely free to sign up to as an influencer, and doing so is as easy as 123. Most directories also have some rules on that applies, such as minimum followers count, real followers, engaged audience etc. You can sign up to Veloce Influencer directory if you want to increase your exposure and get contacted by brands. Signing up is completely free. To sign up, you need to have at least 10K followers. 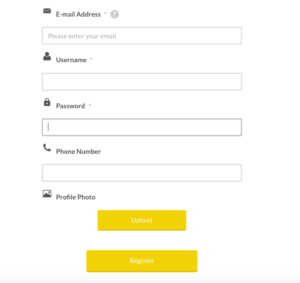 Simply go to influencer signup and fill in your details. Of course, you can’t be sure that you’ll get any brands who reach out to you by signing up to various influencer directories. But then again, you won’t know if brands will respond to you if you spend hours and hours by emailing brands either. Also, considering the minimum amount of effort demanded, you’d be a fool not to. This method is time-consuming but most of the time, it works. What you need to do is look for brands and then contact them, (most brands prefer email ) asking them if they would like to partner with you. When pitching yourself to brands, you’ll have far more success by only contacting brands who align with your niche and personal values. As an influencer, you also want to make sure the brand’s values align with yours. If you promote something that your audience can feel right away isn’t genuine, they’ll lose trust in you, and you’ll risk being labeled as a “sell out”. Large influencers seldom hunt brands and beg them for partnerships. Usually, the brands come to the influencer. As a large influencer, picking a brand to work with isn’t difficult. Usually, they’re lined up begging to work with you. If you aren’t as big as the dominating leaders in your niche, this method won’t as effectively for you. Chances are you’ll wait and wait without nothing happening. When most people think about making money on Instagram, this is what they think of. There are tons of statistics that prove that Instagram helps grow sales with the right strategy. In fact, there are also a bunch of case studies of brands who have been able to build their brand purely with the help of Instagram marketing. To generate results on Instagram, you don’t need bottomless pockets. You can drive sales by investing time and effort and ride on Instagram’s organic reach to get in touch with potential customers for your brand. And chances are when starting out, you don’t have millions of dollars to spend on ads. Bloom & wild wanted to attract a wider audience and drive more sales, so they turned to Instagram. The brand found that video worked best for them in terms of conversion rates so they invested all their efforts into creating videos that their audience found appealing and interesting. 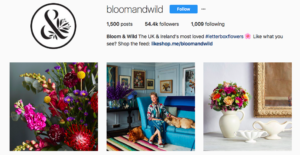 As a result of their efforts, Bloom & Wild increased their bouquet orders by 62 percent plus saw a tremendous upswing in new customer comments and outreach message to their Instagram profile. When you sell a product on Instagram, it’s all about creating content that appeals to your audience and provides value. It might come as a surprise but if you share more product and marketing posts, you won’t necessarily get better results. The 80/20 rule is often talked about in Instagram product marketing contexts. This means that you should create 20% content that promotes your products, and 80% posts that give value to your audience. If you’ve already built an audience and want to start making money from them, try to identify products that your audience likes and that solves problems they might have. If you’ve previously posted photos of horses, chances are you’ve attracted people who are interested in just that. Therefore, you need to think about what products these people might be interested in, for example, horse helmets or prints of horses. Affiliate marketing means working on commission. Broken down to its easiest form, it means that you promote a brand’s product with the help of a personal link (that can be tracked), and then when a sale is made as a result of your promotions, you get a commission! Sure, you will make a smaller cut than if you’re selling your own products. However, you will be free from a ton of responsibilities. Product development, designing, marketing, production, website development, and so on. All you need to do on affiliate marketing is sign up to an affiliate program and start promoting a product. Quite a big contrast, right? If you do less work and have fewer responsibilities, the reward will be smaller. Because Instagram is highly limiting the places where you can share clickable links on the platform, affiliate marketing on Instagram is more difficult than on other social platforms. However, that is not to say that it is impossible. Before Instagram Stories, the only place to share a clickable link on Instagram was through Direct message and in your profile bio. You cannot include clickable links in your posts, however, you can now include “clickable” (they’re slidable) links in your Stories and in that way get your link seen by your followers. There are tons of affiliate marketplaces where you can sign up and join an affiliate program belonging to a brand of your choice. ClickBank: Clickbank is an affiliate platform open to everyone that lets you sign up to affiliate programs that you find interesting. RewardStyle: This is an invitation-only fashion and lifestyle influencer network that gives 20% commissions to their affiliates/influencers. Amazon’s Affiliate Program: This is a highly popular affiliate program that gives you a 10% commission. CJ (Commission Junction) offers a ton of different affiliate programs no matter what type of products you want to promote. If you don’t want to sign up to an affiliate marketplace, you can approach a brand directly and ask if they accept affiliate marketing. most brands do because they have nothing to lose in doing so. They’ll increase their sales and get free marketing! When this type of affiliate marketing is done on social media, personal discount codes or personalized links are used to track the sales driven by you. Instagram is a visually driven platform so what better place to sell your photos than on Instagram? See Instagram as a photo book where you can display all your images – while reaching a large audience of potential buyers. If you’ve already built an Instagram account around your amazing images, chances are people want to buy them. In fact, if you are taking incredible images, you’ve probably gotten one or two requests for people to buy the right to use them. Alamy offers photographers a 50% royalty payment on each photo sold. That’s higher than almost any other photo marketplace. The site does not demand exclusivity rights either, which several sites demand. Shutterstock has paid out over $350 million to its contributors since its launch. Depending on the size of your image, you can make up to 30% of the sale price of your photo. The standard royalty payout for iStock Photo starts at only 15% per download, however, this can increase too but this can increase to 45% depending on the popularity of your photos. This one is highly unpredictable because you never know if you’re going to become one. While it is unlikely that you’ll become an Instagram celebrity overnight, there are actually quite a few examples of people who have become Instagram celebrities and made their fortune as a result of it. By being a unique content creator who sticks out from the crowd, you’ll be able to stand out from the noise and increase your chances of becoming famous. You’ve probably heard of viral sensations like “Damn Daniel”, creating a fun and unique video getting millions of views overnight. 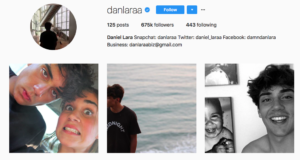 As a result of the vitality, Daniel has since been able to accumulate a whopping 675K followers. Not bad for someone who was completely unknown before the video. As an Instacelebrity, there are endless ways to make money. However, the most important part of becoming an Instacelebrity is that you’re building your personal brand that will help you do practically anything. Instagram is so much more than a tool to promote a product. It’s a tool to promote yourself and interact with people from all around the globe. Did you know that Instagram accounts with large followings sell for quite sums? There are people who do create, build, and sell Instagram accounts regularly, but considering that building an account from the ground up to a successful page demands tons of hours and hard work. However, if you’re tired of Instagram and want to quit, don’t let your account sit there and dust. Why not sell it and make some bucks? For the sake of learning more about Instagram, and to see how it worked to sell Instagram accounts, created 3 Instagram accounts related to men’s fashion and grew them to 30K followers each. After about 8 months, I sold them all for roughly $2K in total. Now, it’s not a huge sum considering the fact that I put quite some time and effort into them, but in the process of growing them, I gained knowledge and experiences that are priceless. Some of which I am sharing with you today. If you have a hard time selling your Instagram account by simply putting up a post letting people know your account is for sale, or writing it in your profile bios, there are marketplaces online that lets you sell and buy Instagram accounts with ease. It is extremely difficult to value an Instagram account. At least right on the spot. Just like the factors that impacted whether or not you are able to make money on Instagram, there are many factors that go into pricing an account. It’s not just follower count that matters. But I think you know that now. Something highly valuable that I learned when selling (and buying) Instagram accounts is that your account is worth nothing if nobody is willing to buy and pay for it. Unless you’re monetizing it, that is. Selling and buying Instagram accounts isn’t a huge market, even if it has evolved tremendously since I first hopped on Instagram. Instagram can give a ton of income streams if you know how to use it properly. The key to making a lot of money from the platform – no matter which monetization way you choose, is having a large and engaged audience. The size of your audience isn’t the only thing that matters, though. It’s also important that your audience is highly relevant and interested in what it is you are sharing, because only then will they be interested in what you sell or promote to them. Focus on building your audience, put great emphasis on building a community around your followers and then look at ways to monetize. Preferably not the other way around. Are you making money on Instagram? Are you planning on making money on Instagram? What monetization method will you choose?